SEATTLE, Washington --- Crow's Nest Yachts is pleased to announce it is now the exclusive West Coast dealer for Westcoast Custom Yachts, located in British Columbia, Canada. 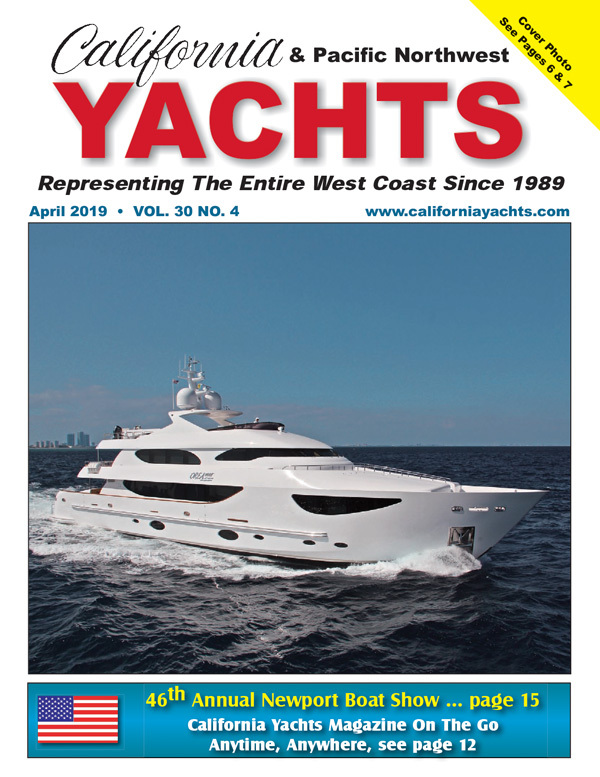 Crow's Nest Yachts is featuring the North American-built yachts at its locations in Seattle, Newport Beach and San Diego beginning in early May. Renowned boat builder Forbes Cooper is the genius behind Westcoast Custom Yachts. He's been manufacturing boats since the 1970's, first with his Cooper sailboat, and then with the Cooper Prowler series of yachts in the 1980's. Cooper has come out of retirement to put his mark on these new well-crafted yachts. "Forbes Cooper builds a flawless Northwest cruising boat at a great value � just what we've been looking for," said Vic Parcells, Crow's Nest Yachts Seattle. "This is a local builder that allows us to take a prospective buyer to the factory near Vancouver, B.C. and back in one day, allowing the buyer to get the perfect boat for them. We struck a deal to represent Westcoast Custom Yachts almost immediately, and could not be happier." "We love these guys," said David Cooper, Westcoast Custom Yachts. "They're so professional and enthusiastic. They have an attitude you don't always see in the industry right now. They're very optimistic." Westcoast Custom Yachts features 62' and 64' Pilothouse models, combining large interiors, roomy flybridges, and expansive cockpits with impressive performance, dependability and economy. Due in late May is a 64' model from their new line of low-profile, customizable Express Cruisers, featuring modern European styling. "We customize the boats to what owners want," said Forbes Cooper, Westcoast Custom Yachts. "No two boats built over 50 feet are alike, and we show owners mock-ups of features and finishes they request to be certain we meet their approval before we build it." Cooper also designed the new boats to be popular with yacht owners who wish to combine cruising and sport fishing, with plenty of cockpit space to add sportfishing chairs, and other accessories. "These semi-custom designs are perfect for West Coast boaters," said Dennis Riehl, Crow's Nest Yachts Newport Beach. "They're exactly the kind of yacht and price point that works well for either the weekend boater or serious long range yachtsman." Crow's Nest Yachts maintains a high standard of excellence on the West Coast, and with the addition of Westcoast Custom Yachts, continues to provide exceptional service to exceed expectations of existing and prospective clients. Crow's Nest Yachts is marking more than 35 years of service to West Coast boaters with locations in Seattle, Washington, and in California in both San Diego and Newport Beach. Currently, Crow's Nest Yachts has a wide selection of yachts available, with inventory valued at more than $47 million.